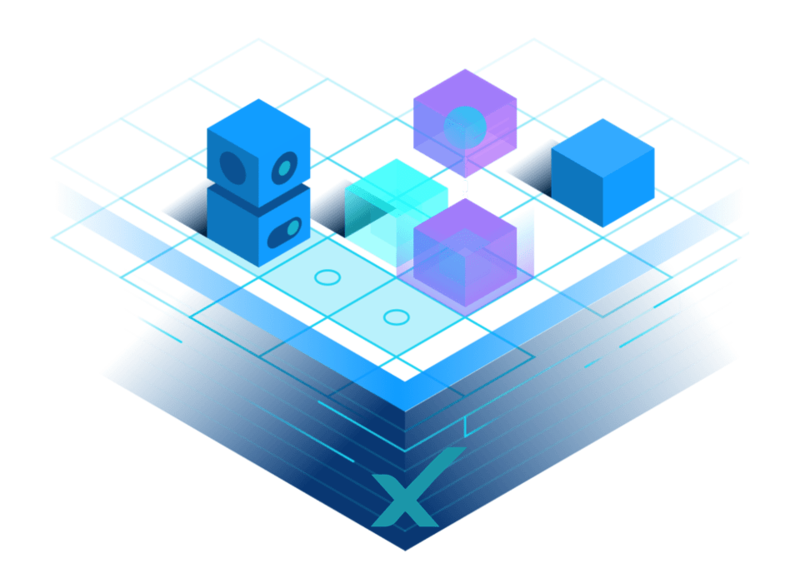 Straying away from archaic prospecting approaches, FINTRX offers a number of packaged asset raising tools within one simplistic solution. Easily visualize the largest family office database through leveraging our proprietary Search Vision technology. Narrow down areas of investment interest from a macro to a micro level view to streamline your roadshow preparation. Visually query more than 40+ family office filters to narrow down your investor search results. Build tailored roadshow lists based on the investors location and their allocation preferences. 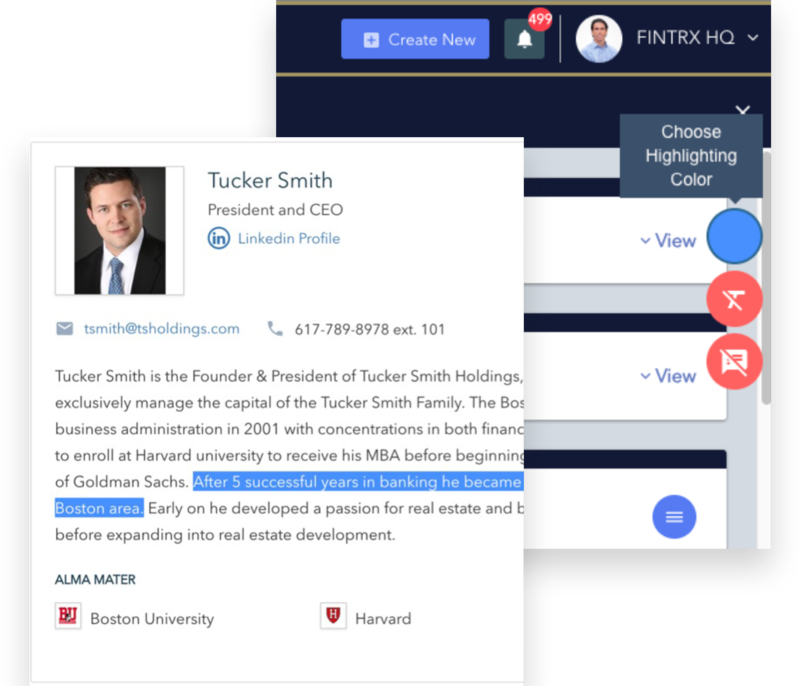 Visually tap into your entire network using our AI-based FINTRX IQ technology to see how you, or any of your colleagues are personally connected to each contact within the database. 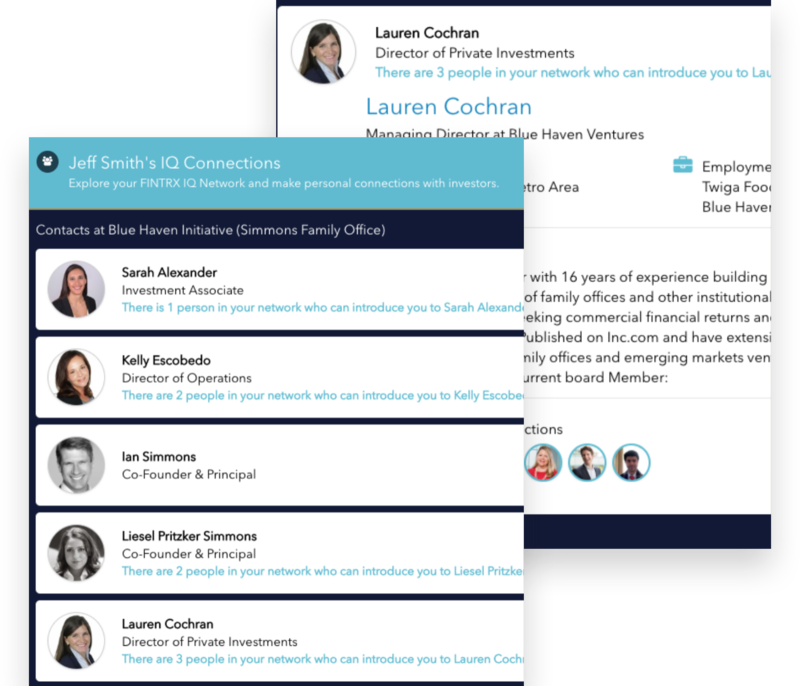 Receive custom alerts when your personal network tree extends throughout any family office. Leverage your personal and extended network to spark a humanized outreach within the family office channel. Spotlight the most pertinent information within each family office dossier using Markups. Tailor each dossier specifically for your firm by pulling and highlighting the most relevant information. All highlights can be viewed across your entire team or kept personal within your account. Create a string of comments and notes on each highlight to easily collaborate across your team members to ensure no prospect falls through the cracks. 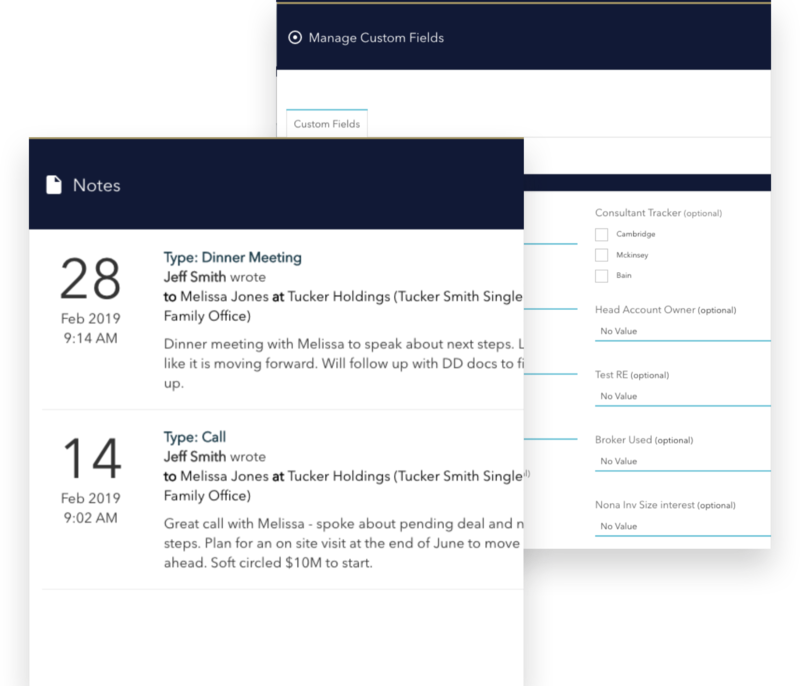 Effortlessly track all interactions with your family office prospects by leveraging our suite of custom asset raising tools. Log all meeting and call notes for each of your prospects. Then create follow up tasks to further enhance your workflow. Organize and sort your prospects by creating custom fields, allowing you to better tailor the platform to your workflow and specific needs.